Principal Chief Bill John Baker is Cherokee. There is no doubt about that. He has the ancestry through his paternal side and he is recognized as a registered member of our nation, so he IS Cherokee. That is not the issue explored in this series. This series addresses the fact that there are a lot of things in Baker's maternal family history that have been passed down and possibly led him to form the opinions he now has. By showing many of the things Baker probably heard his entire life are not true, we've shown he likely has some misconceptions about Cherokee history and genealogy and therefore, he is going soft on the defense of our sovereignty when he, as chief, should not be doing so. In a March 2014 interview, when asked who inspired him as a mentor, Cherokee Chief, Bill John Baker, said, "...my mother, Dr. Isabel Baker, is and has always been my moral compass in life." This shows what a strong influence she's played in his beliefs. 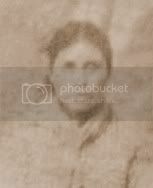 Isabel Keith Baker believes she has Cherokee ancestry but can't prove it. According to Dawni Mackey, Cultural Officer for the Cherokee Nation, the chief has said his mother has Cherokee heritage, which verifies he believes he has Cherokee heritage through her side of the family. We all have family stories and those are fine for discussing around the dinner table, but when untrue and influence the decisions we make, they can become problematic. The problems are multiplied when the person who believes them becomes the leader of a nation. 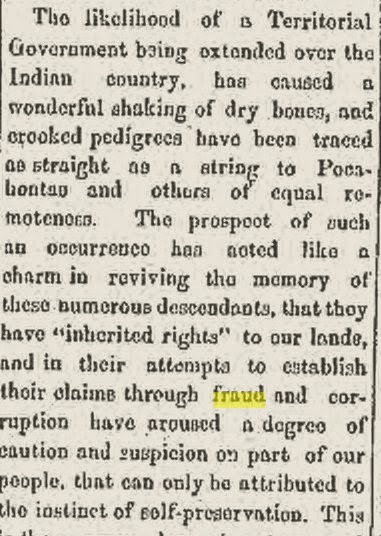 The Cherokees of the day spoke of the suspicion the Nation had due to the many false claims that were being made. They were cautious due to the desire for self preservation. SELF PRESERVATION! It has always been part of our heritage and continues to this day. The most important thing we Cherokees should demand from our leaders is that they protect our sovereignty and our identity. If Bill John Baker is going soft on fakes, then he is not fully defending our sovereignty. There are only three federally recognized Cherokee tribes in the United States, the Cherokee Nation of Oklahoma, the United Keetoowah Band of Cherokee Indians and the Eastern Band of Cherokee Indians. There are over 200 fake Cherokee tribes masquerading as authentic Indians. These fake tribes are often composed of people who have no documented connection to the historical Cherokee Nation. Despite this, these people claim to be Cherokee and start their own "tribes". By doing so, they not only attempt to revise our history, but challenge our sovereignty. When Baker came into office in 2011, our nation had many things in place to fight fake tribes and false claims. Not only did we have joint resolutions with the Intra-Tribal Council of the Five Civilized Tribes to oppose state recognition of Indian heritage groups and culture clubs seeking state recognition, we also had one with the Eastern Band of Cherokee Indians to oppose fabricated Cherokee "tribes" and "Indians." We had a task force in place to fight against fraudulent tribes and false claims made by individuals. Baker did away with our task force despite resolutions the Cherokee Nation had with the the Five Civilized Intra-Tribal Council and the Eastern Band. Although many Cherokee Nation citizens have sought to reaffirm our nation's commitment to the protection of our identity and sovereignty by reviving the task force, Baker has yet to budge on the issue. Baker should have denounced the claims of Elizabeth Warren, but he chose not to do so although members of all three federally recognized Cherokee tribes (the Eastern Band, the Cherokee Nation and the United Keetoowah) were speaking out, as well as members of the Democratic Native American Caucus, including a descendant of Geronimo, who called Warren a disgrace. Early in the year, 2013, and then again early in the year, 2014, the state of Virginia considered giving state recognition to two fake tribes that claim to be Cherokee. Cherokee Nation citizens took it upon themselves, along with citizens of other tribes and numerous concerned individuals, to make phone calls and send emails to the Virginia legislator who sponsored the bill in an attempt to get the recognition stopped. Chief Baker and the Cherokee Nation as a government did nothing. Due only to the hard work of individuals from many tribes and organizations, the vote was tabled. A promise has been made that the legislature will vote on the issue next year in 2015. The Cherokee Nation has no one formally working on the issue so that it can be addressed when this eventually does come to a vote. Chief Baker has established a pattern of ignoring false claims of Cherokee ancestry, even though false claims require a distortion or revision of our history. When Baker was sworn in to office, he took an oath to defend the culture, heritage and tradition of the Cherokee Nation. Our heritage is based in our history. That history is fixed. It cannot be changed just because someone tries to rewrite it, water it down or destroy it. Why would our chief fail to defend it despite the oath he took? Could it be due to the myths he was told by his mother, his mentor and moral compass? Chief Baker's false claims of Cherokee ancestry on his maternal side are not harmless. These claims seem to have influenced his beliefs. His record suggests these beliefs have played a role in his decision making process in regards to leading our nation and defending our sovereignty. This is an important issue. It doesn't matter how many houses Baker builds or what improvements to health care are made or how many jobs are created, because if we lose our sovereignty, these things will no longer exist anyway. The basis for all we have as Cherokees is rooted in our sovereignty. That, above all else, should be defended. It is selfish for Chief Baker to cling to family lore that benefits no one other than his own family, while failing to defend documented Cherokee history that benefits the nation as a whole. 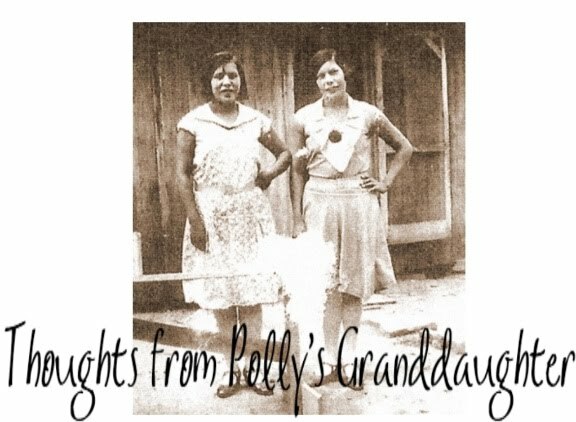 Our ancestors "fought and died to maintain their tribal relations, through hard times, and preserved their language, cultures and other ways..."* Chief Baker's mother's ancestors were not there with our ancestors. Instead, they were among those who tried to take what our ancestors fought so hard to preserve. Each Cherokee citizen should evaluate the way in which our sovereignty is being protected. In my opinion, we should be utilizing every piece of documented history to defend and protect it. The sacrifices of our ancestors deserves nothing less than that. You've made a lot of good points in this series on why he is soft on fakes. I can understand anyone having a soft spot for their mother but he took an Oath to protect the Cherokee. And yet, one of the first things he did as chief was to dismantle the task force. Why? I cant think of any good reason why he should. And bringing this to light certainly might validate why. I always love reading your blogs, they sure make one think if one can be objective. So now im thinking! Why did Baker not go to tri-council? Ive been wondering why he would consider a community meeting more important to attend than meeting with the other chiefs and council? They had a pre meeting, which im sure issues were brought forth on what would be discussed. Yes I was there and heard this mentioned. Chief Hicks discussed this important issue and the effects of not having a task force in place to protect the people. I believe Baker chose that other meeting because he didnt want to face Chief Hicks on this very important issue. Just like he didnt want to face Chief Wickliffe on the UKB issue. I think Chief Baker has a lot of soft spots. I agree with you, he should be actively and even fiercely fighting to keep our sovereignty in tact, by fighting fakes. One does have to question why he does not. Thank you, Tana. You also brought up some excellent points. A lot of Cherokees are wondering why Chief Baker would think a community meeting was more important than the Tri-Council meeting! Well, the Keetoowah and the Eastern Band cant vote in our next Chief election. His absence can be viewed as; campaigning takes priority. As a citizen, I was disappointed and embarrassed our Chief was not in attendance. The Tri Council meeting has historical significance regarding unity and working together as three tribes i.e. one fire. The meeting was also videotaped for future reference and future generations. Our contribution to this historical event is ............ABSENT!